First half of 2011 saw the spurt in the Technology industry and several new products were showcased in this year’s Consumer Electronics Association (CES) held in Las Vegas. 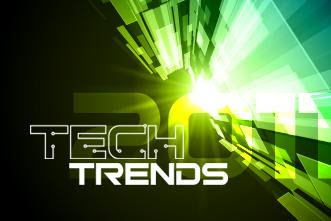 Clearly, 2011 has been exciting in the tech space and one can look forward to new and exciting products getting launched later this year. 2. Increased popularity of social gaming as witnessed with Farmville and Mafia wars last year. 3. Every device at home will have an IP address and will be connect to each other. So, can the microwave send you a SMS if the food is ready? 4. More companies will identify social networking guidelines for their employees. 5. The world will hit "Facebook fatigue". Have we reached a tipping point on this platform? How much more "poke" and "wall posts" will we see this year. 6. Gesture based interaction will take place with devices such as Microsoft Kinect. This will start with gaming and move on to non-gaming devices. 8. Next generation analytics based on real time simulations and modeling would replace our current Analytic engines which does the analysis based on past data. 9. Mobile phone will become your credit card: This is already gaining momentum in countries like Haiti. 10. “Angry Birds” will be the most popular game this year. What do you think and what are your predictions?